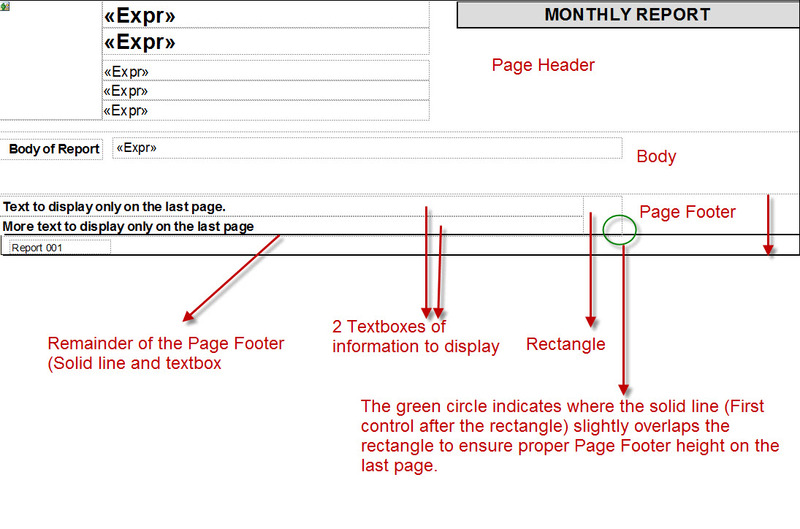 Since SSRS does not have a report footer, it can be challening to figure out how to display information one time within the page footer on the last page. Here is one workaround that works well. In order to not upset the height of the footer area on the last page, the first control after the rectangle (The rest of the page footer information) needs to overlap the rectangle.